When looking for some appropriate ‘semi-formal’ clothing, Snehal Creations is nothing less thanyour paradise, for example this Black Bamboozle Short Tunic Top with White Beadwork Embroidery which is a complete heart-throb. 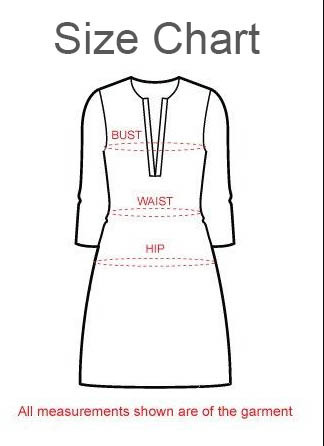 The short tunic top has been tailored out of fine quality georgette and is designed to have a round neck embroidered with white beads all around it and three-fourth sleeves. Pair it with white pair of chudidaar and keep it simple.